Another one blooms, think this is one of the new ones. They are pretty, but I particularly liked the two colours of this one. You have some wonderful dahlias. This one's gorgeous. 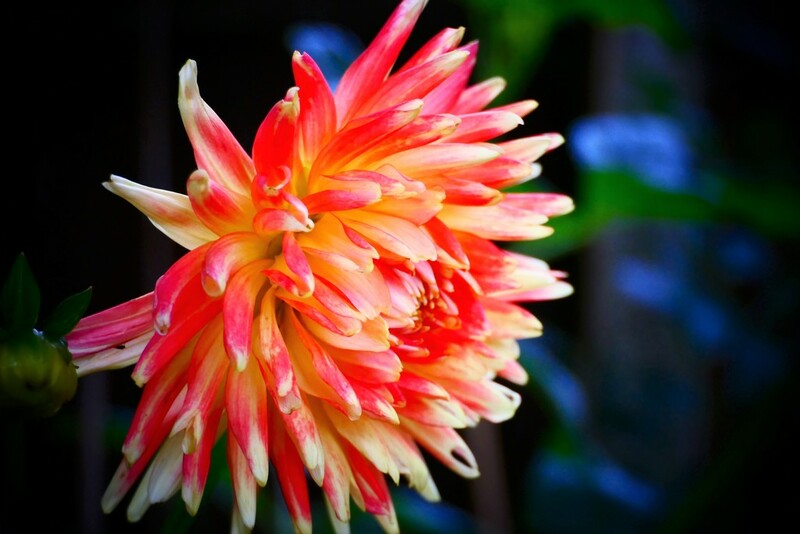 Your dahlias are beautiful - love the two colors together - not seen that before. Mine did nothing this year. Like your dof - dahlia looks great against that darker background. So, so pretty. I love the two colors too. Lovely flame coloured bloom Carole.Brightens a dull day. Beautiful colors in this lovely dahlia.